Updates to Chanelle's profile since your last visit are highlighted in yellow. 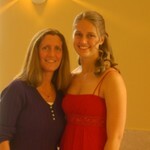 I have 2 beautiful, loving, strong and compassionate kids. 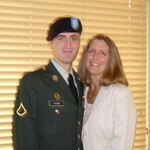 Brian is 23 and in the Army - Military More…Police stationed at Fort Bragg, NC. Andrea is 20 and attends Edmonds Community College while working. Chanelle Brinkman Shore has a birthday today. My kids - Brian & Andrea after Brian's graduation from MP training in 2007. Brian before leaving for Iraq in 2008.